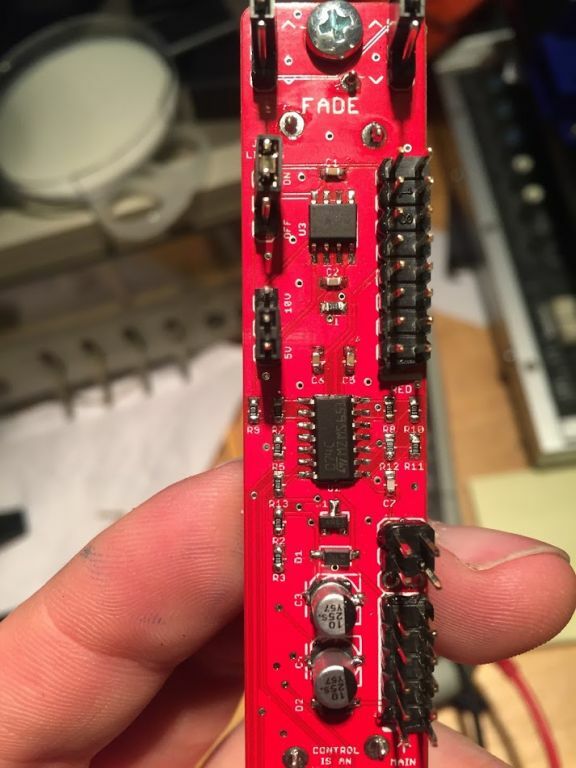 MUFF WIGGLER :: View topic - Fade 1.3 build issue. Ey Folks, so my antumbra Fade 1.3 Build was not a succes so far. Symptom: when you connect it the LED on the front (not the jack leds but the other one) does not light up. I measure 0.03V when in bipolar mode (any fader position) and 0.01v when in unipolar position. - setting the jumpers differently (the jack light jumper does function as intended. hmm if i dont insert the powercable very well the led in the middle does work. Well it clearly seems to be a contact issue, use some flux on the joints and resolder them, the bottom pins of the fader doesn't seem to be soldered very well, try around those first! hmm doesnt look liek thats the case. At least, i redid all the those again. 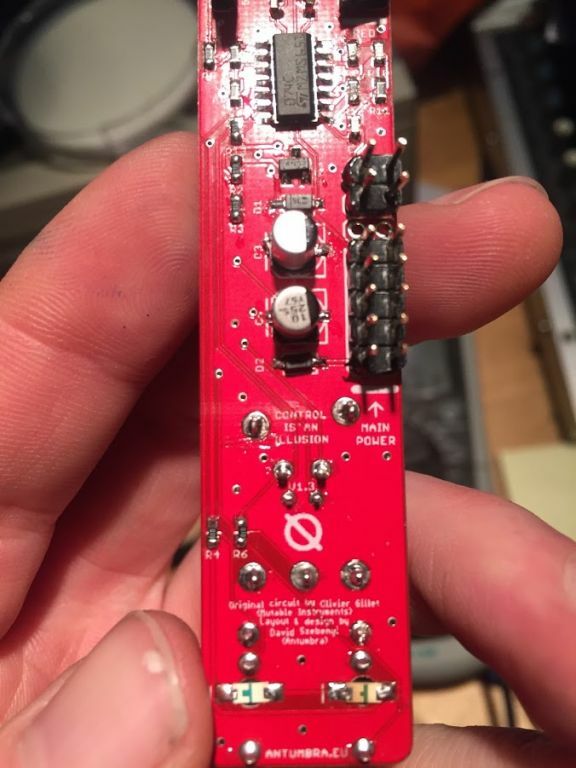 the output resistor wasnt soldered on correctly. Timo figured it out and fixed it by replacing it.